"Les Bulles Dorées" is located at Rilly-la-Montagne on the Champagne Tourist Route in the heart of the Montagne de Reims. At the initiative of the owner, Didier Herbert, the Champagne House of the same name has expanded and diversified its activities, becoming a vibrant place of welcome. Set up in an old barn and entirely renovated, the Guesthouse has 5 rooms, including 3 family rooms, with a modern, warm decor. 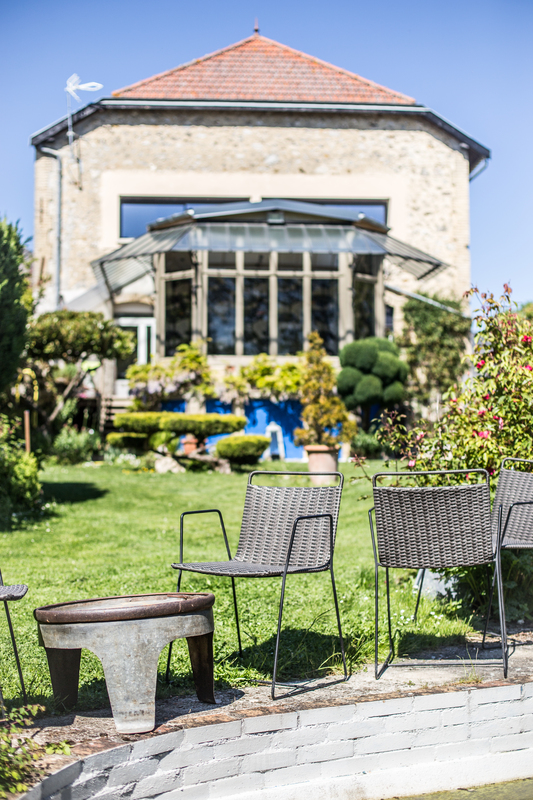 Everything invites you to relax: come in for a moment of fun in the large lounge with a panoramic view of the vineyard, have a gourmet breakfast with Champagne in the conservatory or enjoy the calm in the heart of the garden. A guest table is also available.